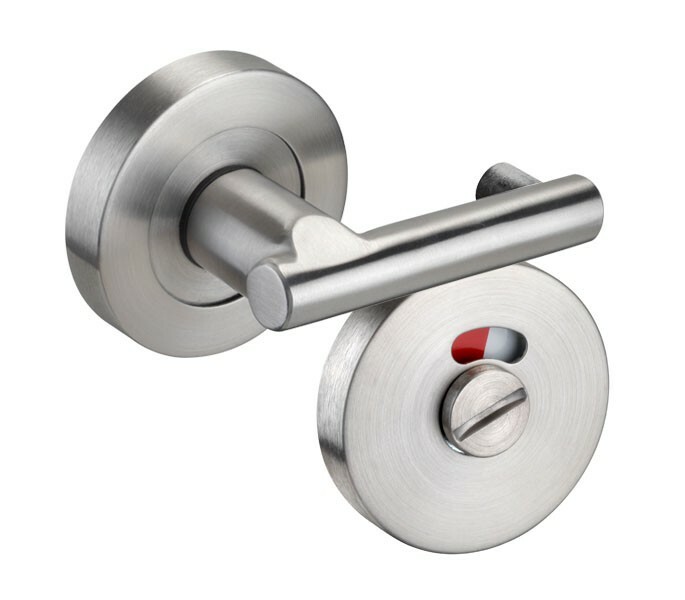 This toilet indicator lock is the perfect choice for those looking to fit a toilet door bolt in which the bar can be rotated to work as a lock against the cubicle pilaster, negating the need for a keep to be installed. This versatile product can be installed onto either 13mm or 20mm board and is manufactured from grade 304 satin stainless steel for a luxurious finish. 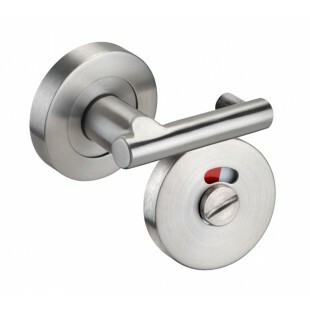 Our toilet indicator lock is supplied singly and includes the lock and indicator with handy coin release, to enable access from the exterior of the locked cubicle in the event of an emergency. Also included is rubber buffers for fitting to the reverse of the arm which offer protection to the surface of your door once the door has been locked.